Your specialist water jetting services company, Aquamax Hydroblasting, was established in 1995. We operate a wide range of water jetting equipment from low (200 bar, 3000 psi) through to ultra-high-pressure (3,000 bar 43,000 psi). Our equipment supports a wide range of applications from the removal of concrete (hydrodemolition) to stripping off paint from aircraft. We have the capability to offer water jetting services throughout New Zealand with divisions based in Auckland, Wellington and Christchurch. We can assemble teams from around the country to ensure the right expertise is applied to any project. Our management team has over 30 years’ experience within the hydroblasting industry. We complement this experience with technical advice and support from our manufacturers and university researchers. All our operators are highly skilled, many with in excess of 10 years' water jetting experience. They are all subject to extensive training in health and safety, hazard identification, first aid, traffic management and working in confined spaces. 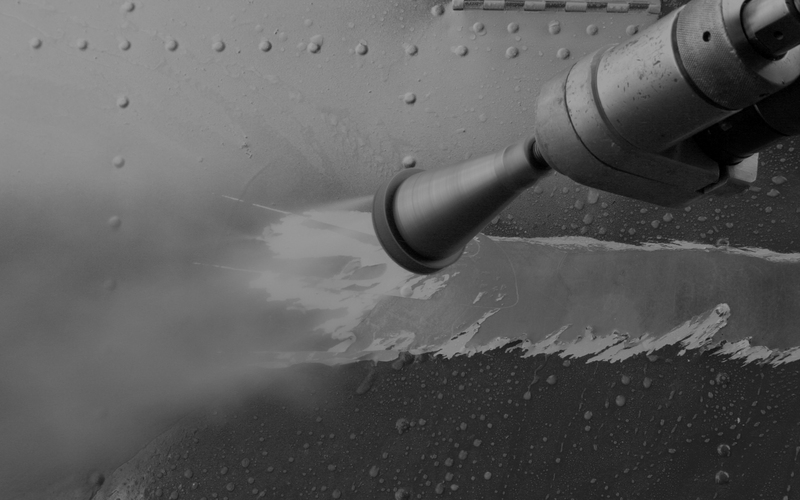 For specialist work such as removing aircraft coatings and cleaning power turbines, hydroblasting operators are internally accredited. This is an overview of Aquamax, our services, sample projects and more.